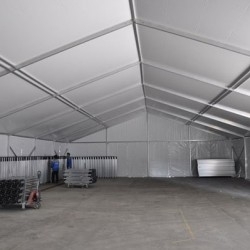 Storage Warehouse tents are free standing tents with no centre poles or guy ropes which make it ideal for storage, warehousing or major events and exhibitions. Storage Warehouse tents can be erected on almost any surface and can be erected adjacent to a building or adjacent to another tent. They are very stable and can span over a much wider area. 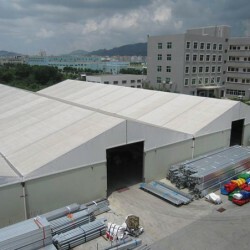 Storage Warehouse tents standard sizes range from 5m up to 30m wide and can also be customized to suit your requirements. 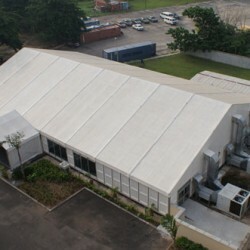 Aluminium Tents uses high quality PVC which also comes in clear span which gives the appearance of glass. 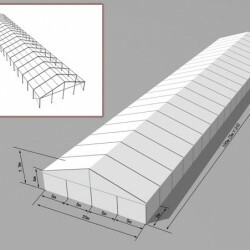 We are the top manufacturers of Storage Warehouse tents in South Africa. 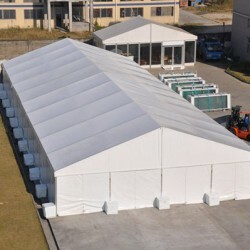 Storage Warehouse tents are used for functions, events, parties & weddings in Durban and throughout Africa. 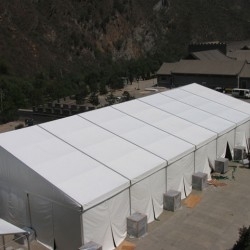 Boss tents are manufactured for the greatest outdoor experience and everything in between. Our tents offer stability and liveability and we will never sacrifice comfort on weight, skimp on delightful details, or overlook the fact that your first adventure is as memorable as your next one. Boss tents are pitched everywhere from exhibitions to family inhabitation holidays. Each tent we build whether for hiking or for the campground has been designed for purpose with prime quality parts and materials. 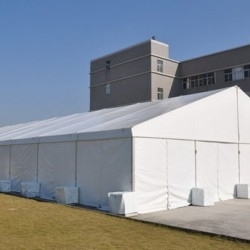 No matter what your preference, be it light-weight, comfort, stable or quick-to-pitch, we have the tent for you and accessories to complete your event requirements. 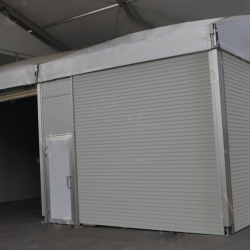 Boss Tents manufactures Storage Warehouse Tents in Durban, Johannesburg, East London, Cape Town, Bloemfontein & Port Elizabeth.